Recently, someone told me she'd cancelled her CSA box after one too many deliveries of kale and butternut squash. Those of you in similar situations might want to bookmark this warm winter salad. 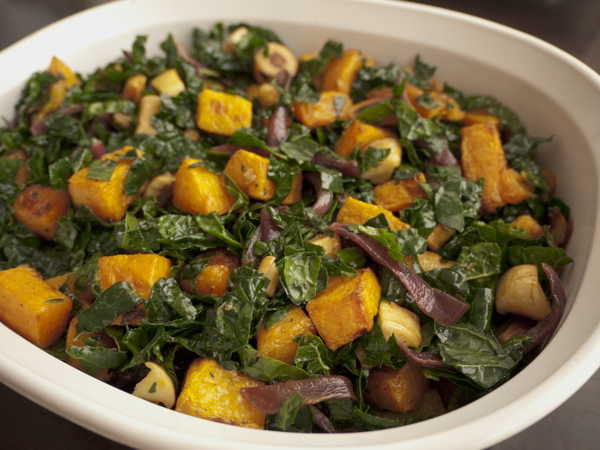 Kale's assertive, slightly bitter flavor can be too much on its own, but provides the perfect balance for the sweetness of roasted winter squash and parsnips, caramelized red onions, and maple-balsamic dressing. 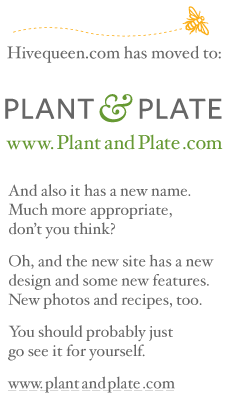 Full recipe at our new site: Plant and Plate.com!